3 Pc Comforter Set - Any Size Only $19.99! Many To Choose From! You are here: Home / Great Deals / 3 Pc Comforter Set – Any Size Only $19.99! Many To Choose From! 3 Pc Comforter Set – Any Size Only $19.99! Many To Choose From! Head over to Macy’s to get a great deal on these sets. 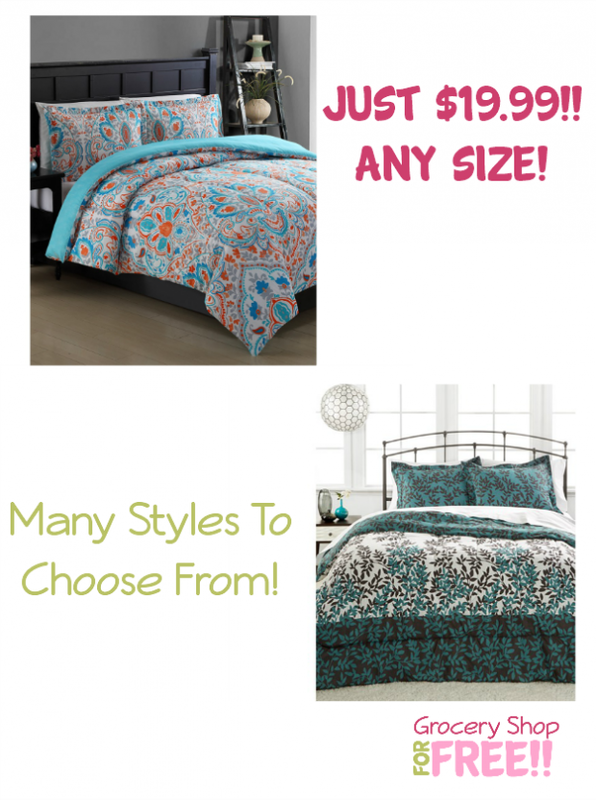 Order a 3 Pc Comforter Set – Any Size for Only $19.99! Your choice of 6 styles and all sizes are the same price of $19.99! This is a limited time offer so don’t wait! They can be shipped to store for FREE or you can get FREE shipping on orders of $25 or more!